Every business deals with angry, complaining customers at one point or another. You can treat them in one of two ways: they can be the problem, or they can be an opportunity to change a bad situation into a great situation. Of course it would be easier to pass it on to someone else and just deal with people who like you, but eventually each of them will be that difficult customer as well, so you might as well prepare yourself for that eventuality now. Angry customers are something we cover in Dale Carnegie sales training courses. 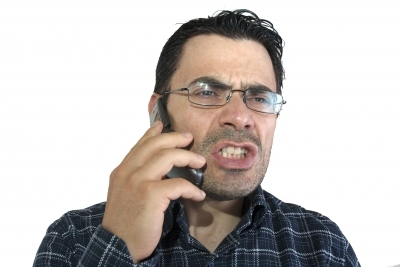 Angry customers are almost always angry because they feel like they have been wronged in some way. Perhaps the product didn’t arrive at the time they thought it would, they were charged more than expected, the new delivery person was rude to them, or something else equally as bad. To use the last as an example: the truth may be that it is completely true that the delivery man was rude because he was having a bad day and got into a fight with his wife that morning. Or maybe he thought he was being nice, but the customer just took it as being rude. No matter what the truth is, the customer doesn’t care about the reason—they just want the problem fixed. The key point is to remember to not get upset with the customer, or baby them. Treat them with respect and caring. Show appreciation for the fact that they let you know that something went wrong and are giving you a chance to fix the problem. Then follow up by taking care of the problem—no matter whose fault it is—and show them you are glad that they are one of your customers.